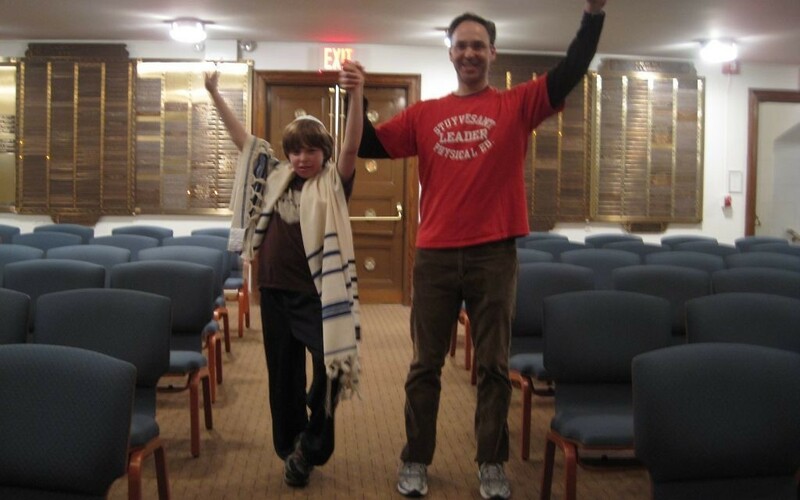 The events of my son’s Bar Mitzvah day don't begin to tell the story of how Max arrived at this moment. Nor do they tell the story of the special connection that he, and we, have developed with the Stephen Wise Free Synagogue congregation, and the gratitude we feel toward this place. Max was born on Erev Rosh Hashanah. Having arrived over five weeks premature, Max spent the first nine days of his life down at Roosevelt Hospital before we could bring him home. Yes, Max entered the world on Rosh Hashanah and came home for the first time on Yom Kippur. He was our high holy day boy. Having missed Rosh Hashanah services because of Max's decision to join us early, I felt the need to go to temple for some kind of solace. I remember vividly sitting in the sanctuary at Stephen Wise on Shabbat Shuvah that year. I remember saying his name aloud during the mi sheberach prayer for healing. Time passed. After about four years, which included a short but fun tour of duty in Houston, we were back in NY and temple-less again. Autism was still new to us at that point and with all of our issues it didn't feel like there was room for another commitment. And we certainly weren't willing to step into a religious community that we weren't sure would accept us as a family: two faiths, autism and all. Not worth it, we thought. But then I got a call from my good buddy Alan, who was now on the religious school committee at Stephen Wise. Alan told me the board had encouraged the committee to start a religious school class for kids on the autism spectrum. We met with Rabbi Hirsch, then still new to Stephen Wise, who explained that he understood that there were many Jewish families in New York with kids with special needs, including autism, that had allowed their connections to their Jewish community and their Jewish heritage to lapse. They did this, he thought, because they were afraid that the Jewish community would be unwilling to make the types of accommodations that their families needed in order to feel welcome. Or wanted. Or included. How many Jews are there out there that are not enjoying the richness of their people because of this? How many Jews are rejecting their community because they think that community won't accept them, as they are? He said, in essence, we need to make Stephen Wise a refuge for these families. A place to run to, not from. So let's create a class in the religious school for kids with autism. We'll start there, see where it goes. You see, this was new. We didn't have any other places reaching out to us like that. We were always doing the chasing. So all of a sudden we are back at Stephen Wise and I am on the religious school committee and helping to create a Hebrew school class for kids with autism. From indifferent Jew to super-involved Jew in the blink of an eye. We conceived of the Kulanu class as one that would be geared to kids even, and maybe especially, with the greatest challenges that autism can present. There were several classes out there available to higher-functioning kids on the spectrum. We needed one for the kids that had no appropriate options. After some starts and stops, we finally got Kulanu off the ground around seven years ago. The smartest thing we did was to hire Maya Blank to design and teach the class. Maya has been the most critical member of the team at Stephen Wise that got Max to this day. Under Maya's caring, creative eye, Max and the other Kulanu kids have learned about shabbat, about the major holidays, all of the key prayers and songs, about b'nai mitzvah and community service, about Israel. And Kulanu has not learned all these things in isolation from the rest of the religious school. Rather, every week, Kulanu has interacted with one or more of the other religious school classes: They have sung together and learned prayers and stories together. Kids from older classes have assisted in the classroom. I think they have learned a lot about our kids that way, about what it means to do your part to repair the world. Anyhow, here we are. Max did it. Such naches. He did the work, it is his accomplishment, but the occasion is made all the more special because of all of the acts of kindness and selflessness he and we encountered at Stephen Wise along the way. 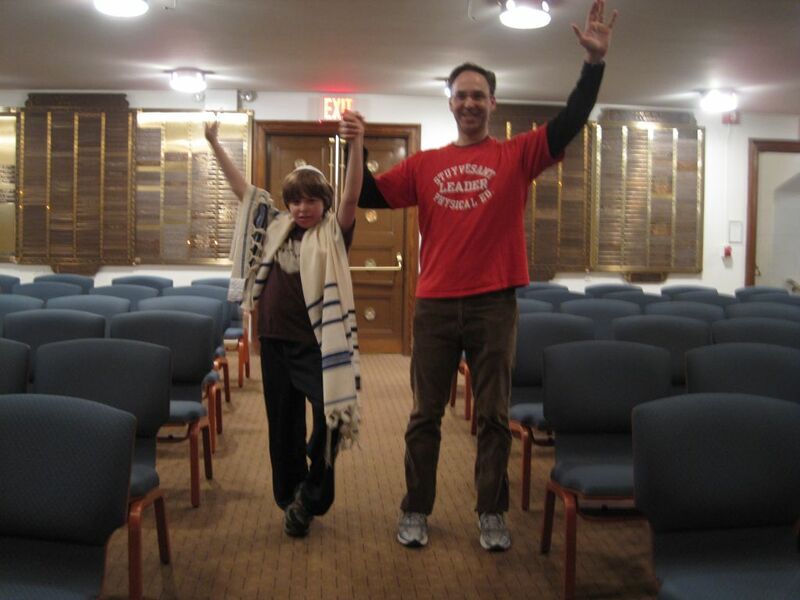 Max has become a part of Stephen Wise Free Synagogue over the course of his 13 years. He is as comfortable here as he is anywhere. It has been a refuge for Max and for us. We are glad we ran to it and not from it. Kulanu offers weekly religious school 90-minute classes for children with Autistic Spectrum Disorder (ASD) and features a curriculum designed to enable children to participate in home and synagogue celebrations and to gain knowledge of and comfort with their Jewish identity. The class incorporates behavioral principles including visual supports and positive reinforcement and emphasizes community inclusion and experiential leaning through music, theater, art, cooking and games. The class is designed and led by Maya Blank, an educator with a Master’s degree in Special Education from Columbia University’s Teachers College and with years of experience in creative arts, Jewish education and as a therapist for children with ASD. The program caters to children across the spectrum and particularly to those with the most significant challenges autism can present. Email her at mayablank@gmail.com.